Price includes a ticket to see War Horse on Wednesday 14 November at 7.30pm. Over the last ten years, puppetry has become an increasingly important means of storytelling on stage; from His Dark Materials and War Horse to Angels in America and Pinocchio. 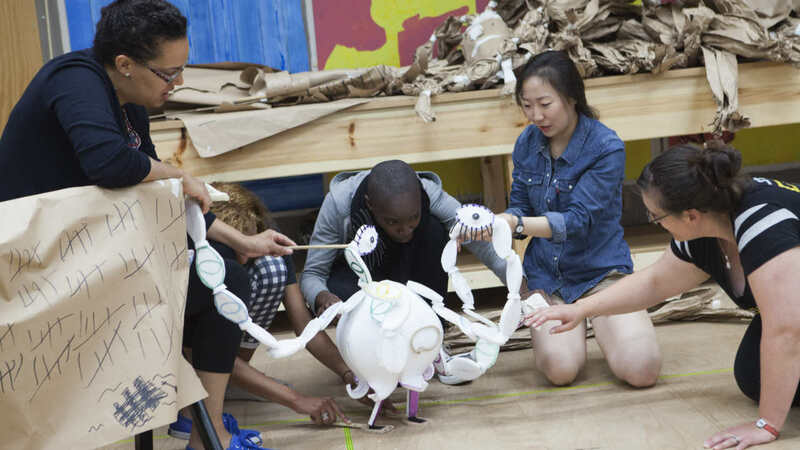 Join puppetry director and designer Toby Olié and puppet-maker and puppeteer Daisy Beattie for this intensive puppet-making course. In just four weeks, you will design and make your own puppet using a range of materials, then experiment with different techniques to customise its appearance and create its character. To apply, please complete this form by Sunday 4 November. This is your chance to tell us about your interest in puppetry and theatre. The more you tell us – while keeping within the word count – the more we will understand about you and why you want to take part. We would never want the cost of a course or project to prevent anyone from taking part. A limited number of full and part-funded bursary places are available. If you would like to apply for one, please indicate this on the form when you apply.